Size Choose an option15mmx1/2"20mmx1/2"20mmx3/4"25mm X 1"25mm x 1/2"25mm x 3/4"
Our PVC Pressure Fittings are used in potable water, industrial plants, chemical plants, irrigation supply, golf course construction, pool & spa. The material PVC (Polyvinyl Chloride) is one of the thermoplastic materials most frequently specified for a variety of products used in the pipe and fittings industry. All our PVC Pressure Fittings are made to conform to ANSI, AS/NZS 1477, BS, DIN, JIS, NPT and BSPT Standards. This standards include thread and socket specifications, length, wall thickness, burst test, material test, quality control and identification requirements. JG PVC is a 100% Australian owned company committed to providing you with an extensive product range to suit the increasingly demanding environment. Why purchase your Irrigation products from us? 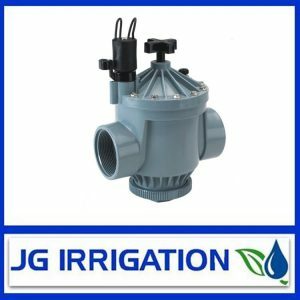 When you buy from us, you have peace of mind that the irrigation products you purchase are world quality products and that they will be dispatched promptly. We do freight our products from several locations which make local pickup not available. When you shop with us you can have the peace of mind that we are a secure online store. We do not ask you to sign up to be a member to get these great prices. It’s as easy as picking the products you need paying for them at the checkout, and we will dispatch them to you. 15mmx1/2", 20mmx1/2", 20mmx3/4", 25mm X 1", 25mm x 1/2", 25mm x 3/4"